Life Design is a goal-oriented coaching program that helps business leaders reconnect with their purpose, and capitalize on their values and strengths. Life Design has been proven to help those feeling like they are at a career crossroads, those looking for better personal and work integration and those wanting to ensure that they are fully living up to their potential by living their life in tune with their values and purpose. Over the course of the Life Design program, you will get access to ten insightful tools to help you work through your goals, strengths and values alongside managing your inspiration and energy levels. There is something powerfully reflective about getting roughly halfway through life and wondering to yourself, is this as good as it gets? Am I really living the life I want from a career and family perspective? A remarkably high number of people have these thoughts – you’ve probably had them yourself. Then life gets busy again, and we park them. But those thoughts pop back into our heads at regular intervals and they never really go away. You may think what I’m referring to is a ‘mid-life crisis’. I consider it more of a ‘mid-life reflection’. …In your own way. In your own time. Life Design is a holistic approach that helps you discover and define your strongest values, strengths, passions and gifts in both your career and personal life. You identify what is most important to you, allowing you to define your unique life fingerprint and integrate learnings into short-term goals, 12 month and milestone plans. Life Design should be done Your Way. There are six steps, ten tools and three ways to complete your Life Design. 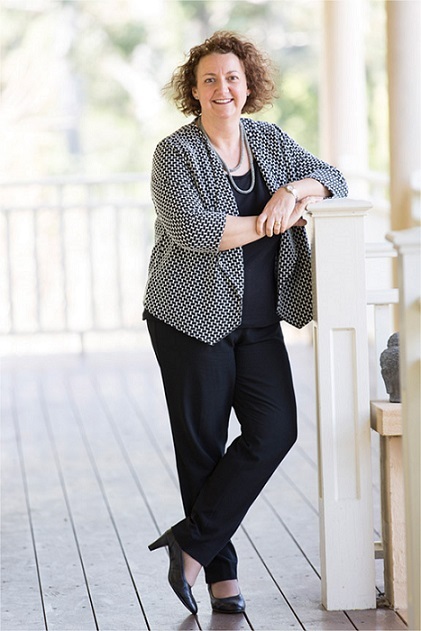 There is a book, an online Life Design portal, workshops and executive coaching. You can do one, or a combination to complete your life design. 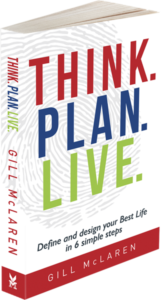 THINK.PLAN.LIVE is a workbook designed to take you on a practical journey, complete with tried and tested strategic frameworks, tools and pragmatic advice that will stimulate your own thinking so that you can confidentially design the best life plan for yourself. Who, What, With, Why, Where and When and identify your Unique Life Fingerprint. Access to the 6 reflective learning exercises to define your Who, What, With, Why, Where and When. 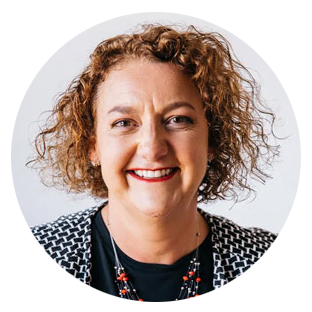 Gill offers Coaching to help senior leaders and executives to make a success of their whole life. The 3 step Syntegrate coaching approach takes the best of business and strategic planning and applies it to Life Design. Over the course of the program clients get access to ten insightful tools to help them work through their goals, strengths and values alongside managing their inspiration and energy levels. Gill is only able to take on a limited number of individual 1:1 coaching relationships. If you are interested in learning more about the Life Design executive coaching program and to explore whether it meets your needs, arrange a free 20-minute consultation. The team is also taking expressions of interest for future group workshops on this form. Please register and we will contact you when dates have been locked in. 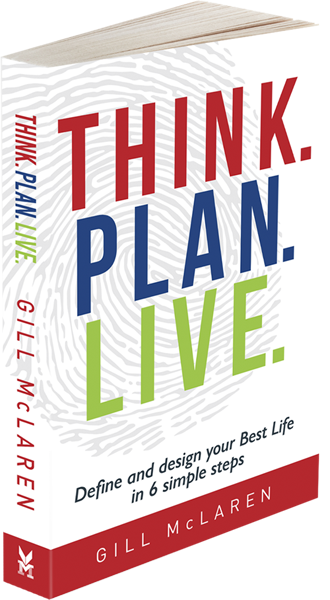 I created Syntegrate life design and wrote Think.Plan.Live. to help people discover their unique Life Fingerprint and to define a best life true to who you are. 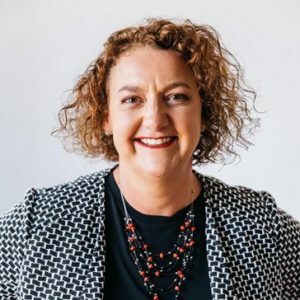 Gill McLaren is an international business leader who draws on her 30-year business career including C-suite roles for Coca-Cola – to help people combine a successful career and thriving personal and family life to create a Best Life plan unique to you.